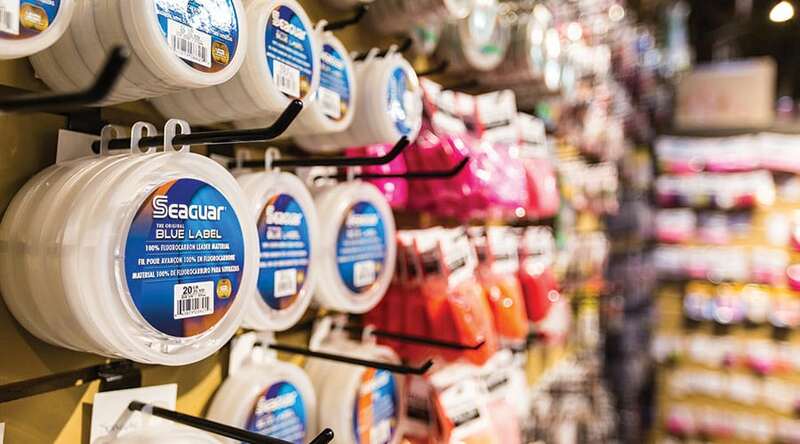 At Pacific Angler we have a complete freshwater selection of tackle boxes, mono lines, braided lines, rods, travel rods, reels, lures, and terminal tackle for steelhead, salmon, trout and sturgeon. 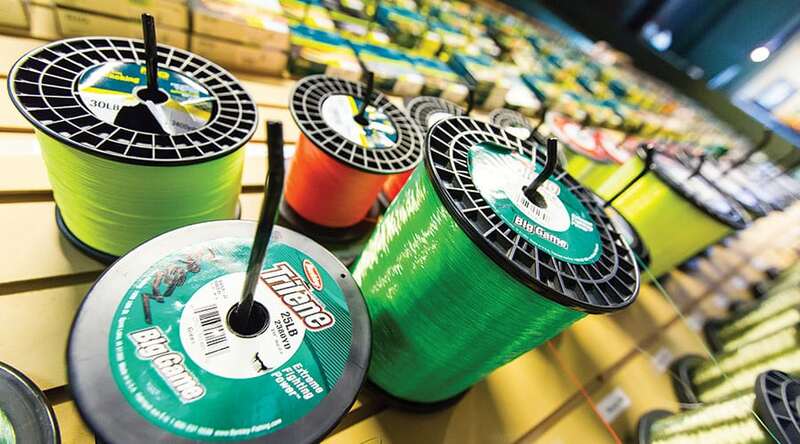 Our reel selection includes spinning reels, levelwind reels, new centerpin reels, and vintage centerpin reels. We have trout rods for fishing on lakes and rivers, sturgeon rods, steelhead and salmon float rods and spin rods, as well as rod and reel combos that are setup and ready to go. Don’t forget the kids! We always have a good selection of starter setups especially designed to get the kids out fishing at a great price. We love float fishing for steelhead and salmon and our selection of lures certainly reflects that. 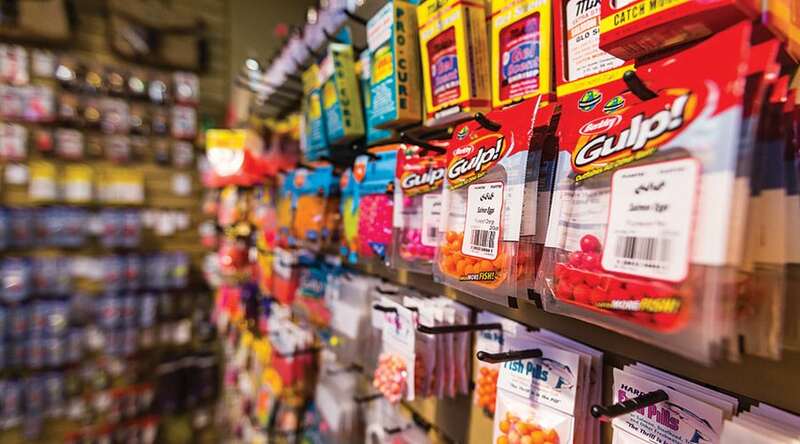 We have lots of jigs, rubber worms, gooey bobs, spin-n-glos, corkies, roe, worms, shrimp, and a great selection of different floats, lead, split shot, swivels, yarn and colorado blades. We also have a great selection of spinners and spoons for steelhead and salmon, including custom made spinners and Colorado blades. For the lake fisherman we have a variety of spinners, spoons, flatfish, gang trolls and terminal tackle to get you into some local trout or Kamloops trout. If you are fishing from shore with the kids or trolling the interior lakes, we have what you need. Come down and check out our selection from brands like Sage, Babcock Custom Rods, Pacific Angler Custom Rods, G. Loomis, Lamiglas, Fenwick, Shimano, Okuma, Trophy, Berkley, Daiwa, Luhr Jensen, Seaguar, Maxima, Gamakatsu, Owner, Gibbs, Delta, Drennan, Pro-Cure, Pautzke, Melnak, Blue Fox, Maxima, P-Line, TUF-Line, Power Pro, Cleardrift, Angler, Eagle Claw, Danielson, Flambeau, Worden’, Mepps, Blue Fox, Mad River, Pen-Tac BC Steel, and Shakespeare.